The article will describe what is necessary to set up before modifying outgoing numbers and how to cut and add digits. These actions are important and will influence where the outgoing calls will go to. In the �Outbound� tab you will find all the settings that should be checked when you need to modify outgoing numbers. Note: If you already added a gateway and a dial plan and you are sure the settings are correct, go directly to Modify number. The gateway is the connection to the address you choose your call to go to. It may be the connection to another network, FreeSentral or other PBX. For more information about gateways in FreeSentral can be found at : Outbound and How to set up branches in headquarter?. 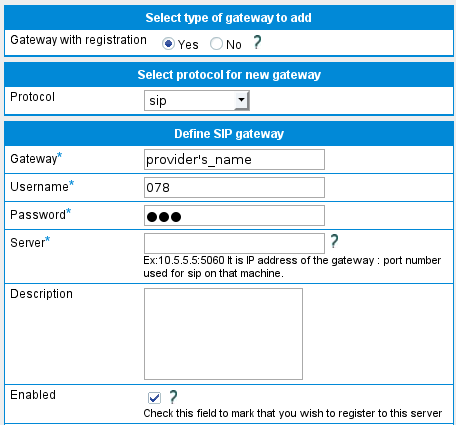 When adding a gateway, there are advanced options to take into consideration depending on the connection type you need to add: a gateway for the provider, for another branch or network. The �Trusted� and �Send extension� advanced options are checked only when connecting to another branch or the headquarter. 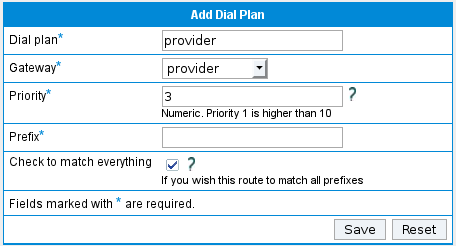 �Enabled� will be the only option checked for the connection with the provider. The connection with another network will be set accordingly to your security rules. 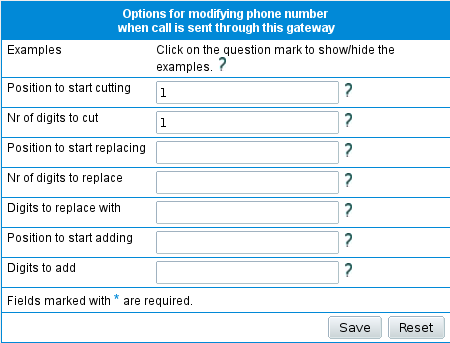 Adding a dial plan is defining a connection between a call and a gateway. The dial plan will determine the destination of the outgoing call. Note: You should know there is a default dial plan that can be chosen when you add a gateway. The option is under �Advanced Options� in the �Add gateway� section. If you are not sure on how to set up a dial plan, you should check the �Default Dial Plan� option. The image above is shown when you click on �Add dial plan� to add a dial plan for the provider. Notice I enabled the �Check to match everything� option.